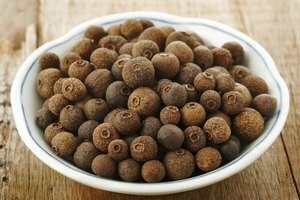 A traditional herb in Mediterranean cuisines, where it is often paired with lemon, thyme brings a pungent aroma to various dishes, including meat and fish. The herb is part of the extended mint family and can be used fresh or dried, although fresh has a more pure flavor. If preparing a dish at home only to find there is no thyme in the pantry, do not panic. Because notes of mint, citrus and oregano are all evident in thyme, you still have plenty of replacements for thyme if you don't have on hand. Follow these helpful hints for a few suggestions that are easy to swap in as a thyme substitute in any recipe. A complementary herb to many other aromatic herbs, thyme brings a minty warmth to onion, garlic and ginger flavors, notes Fine Cooking, but doesn’t dominate a dish in the way other herbs, such as rosemary or oregano, do. It is not surprising that this ability to highlight and balance other flavors makes thyme an essential ingredient of herbs de Provence, the Mediterranean dry herb mix that typically includes potent herbs from southern France, including marjoram and oregano. As a result, if a dish calls for thyme but you don't have any, herbs de Provence works as a catch-all replacement for thyme. The hint of citrus in thyme means that it works well in poultry and game dishes, particularly when used fresh. 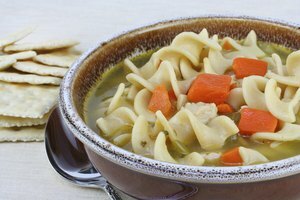 For slow-cooked dishes and stews, it is also one of the components of the bouquet garni, along with bay leaves and parsley, in its dry form. These types of dishes can greatly benefit from a bay leaf substitute is thyme is not an option. For lamb dishes, rosemary steps in and is ideally bolstered by plenty of garlic. For turkey, a dry herb rub with sage, rosemary and salt results in a crisp, aromatic skin. 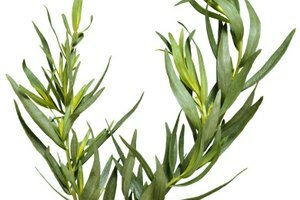 A sage substitute wilts faster than thyme, but the highly aromatic ingredient is a delicious addition to white meats. Like thyme, rosemary, which is a sturdier herb, will hold up during longer cooking times. 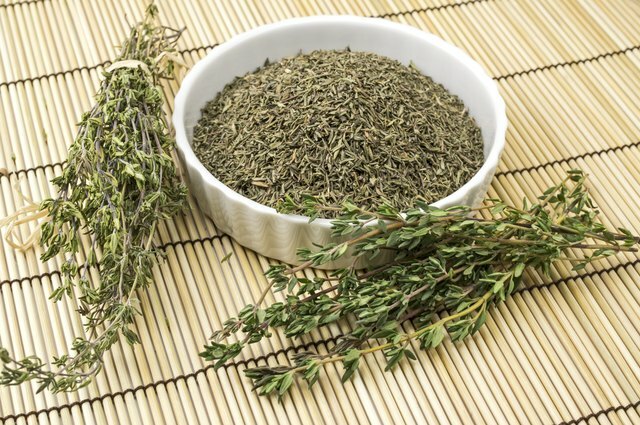 Mediterranean and Middle Eastern cooking make ample use of thyme, especially lemon thyme, for seafood dishes. 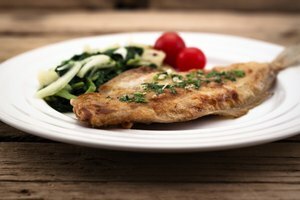 A whole fish poached in a thyme broth, for example, infuses the flesh with a citrus, herby aroma. To recreate the same effect, BBC Good Food recommends lemongrass, complemented by basil, rosemary and sage, for a baked salmon dish finished off with caramelized lemon. For an herb-crusted fish bake, lemony basil, parsley and chives give a bright, clean finish to white fish. Instead of boiling broccoli into an underwhelming, slightly sulfurous dish, Mediterranean cooking incorporates it into a bright, herbal salad, tossed in a thyme and mustard dressing. If you don't have thyme, substitute oregano, rosemary and basil, with chili flakes an option to add zip. Thyme also excels at adding depth to a bean cassoulet, and a few sprigs tossed into a stew lend a rustic appeal. Celebrity chef Jamie Oliver picks rosemary and sage for his sausage cassoulet instead. The rosemary sprig evokes farmhouse cooking while the sage brings a delicate, savory flavor. 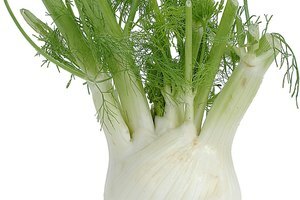 What Flavors Go With Fennel?